About Us / Why choose Waupaca? Waupaca Elevator offers models to fit every budget with a broad range of cab styles, woods, finishes and accessories that will blend perfectly into any home décor. 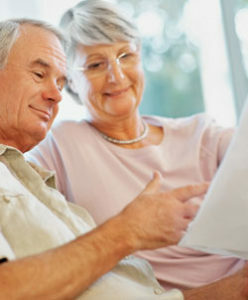 Adding a Waupaca elevator will allow you to stay in the home you love for as long as you would like. Plus, an elevator will help to avoid the expense of moving and the stress and disruption to your life. 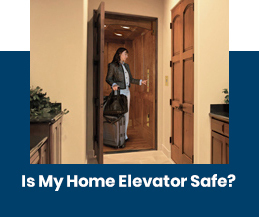 A home elevator makes activities such as moving objects from floor to floor safer, easier and more convenient. A Waupaca elevator will dramatically increase your home’s resale value and expand its marketability. 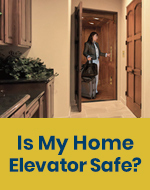 When the time comes to sell your home, a home elevator will expand the range of buyers interested in your home. 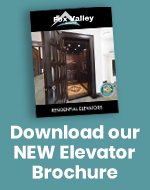 Waupaca elevators are installed and serviced by trained elevator specialists. 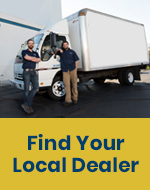 Our extensive dealer network is supported by more than 50 years of industry expertise. Your investment in a Waupaca elevator is secure with a full 3-year limited parts warranty — one of the many reasons more architects and builders specify Waupaca Elevator with confidence. 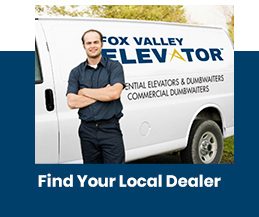 Waupaca Elevator is a family owned and operated business, dedicated to providing the performance and value you deserve in a residential elevator. Your business means a great deal to us and is appreciated!